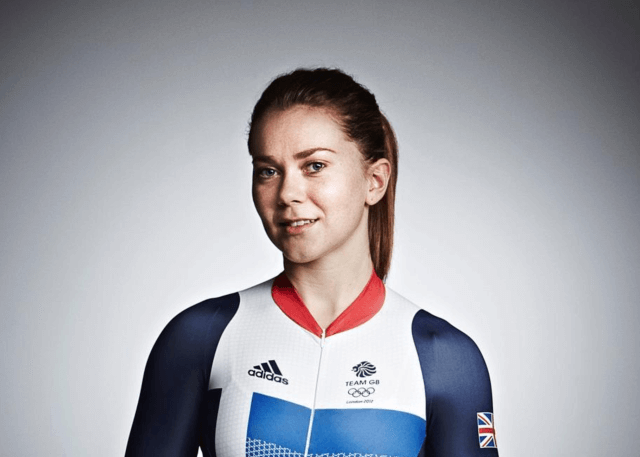 Jess Varnish has been one of GB’s leading track sprint cyclists for the last 5 years. She is part of the current world record-holding European team sprint champions and is a bronze medallist at the World Championships for the 500-metre event. She has famously been paired with Victoria Pendleton for the majority of GB’s reign in the Team Sprint and is known for her sheer speed and power on the track. Jess also competes in the individual sprint and keirin events. As the daughter of a professional cyclist, Jess began track cycling at an early age and was selected to join British Cycling’s Olympic Development Programme in 2005. In her first elite race at the 2008 Track Cycling World Cup in Manchester, Jess won Gold in the Team Sprint. In 2012, prior to the Olympics, Jess along with her team mate Victoria Pendleton, broke the world record for the women’s team sprint taking Gold on the new Olympic track in what was a defining moment of her career. Jess suffered an injury setback in 2013 after tearing a disc in her spine. She worked incredibly hard on her rehabilitation and has since won further medals at European and World Cup level in addition to two Bronze medals in the recent Glasgow Commonwealth Games. In 2015 she took first place at the British National Team Sprint Championships with Katy Marchant. Jess is an incredible ambassador for British track cycling: she has pushed herself to be one of the fastest women on two wheels in the world and still has a lot more to give.